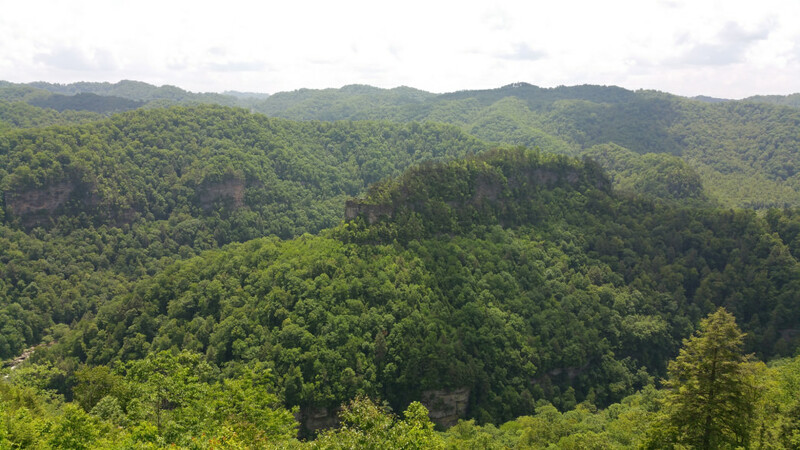 For a hiker in Kentucky, the state’s unique landscape--varying from rocky Appalachian Mountain terrain to rolling meadows--includes plenty of national forests and hundreds of miles of trails that don’t disappoint. 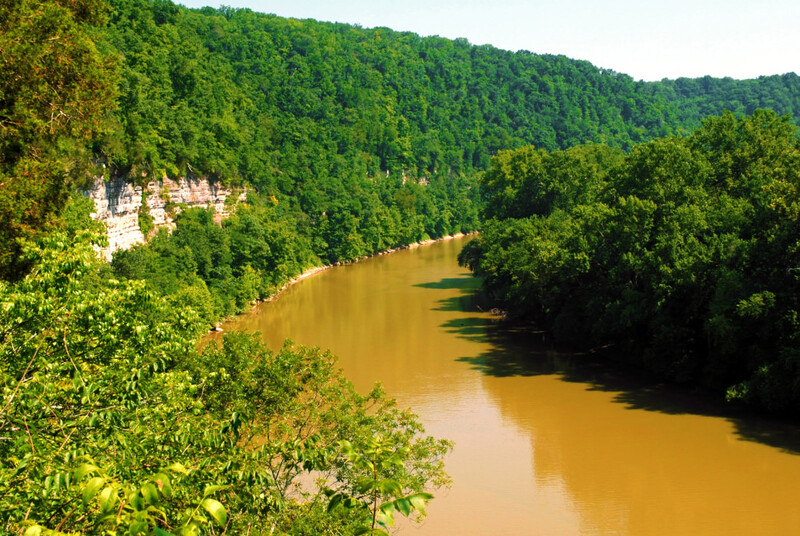 While the Bluegrass State is known for cavernous hikes that explore its depths, Kentucky has plenty of above-ground vistas, too. 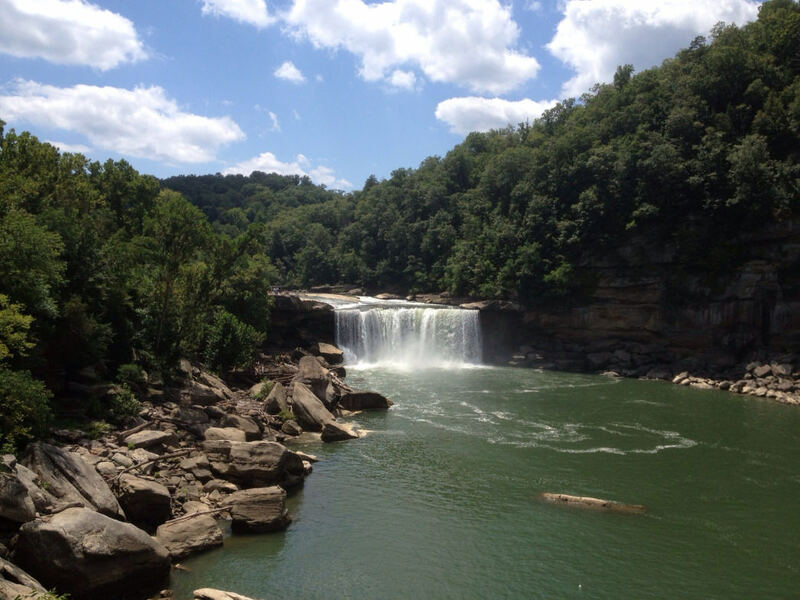 From gorgeous gorge views and breathtaking waterfalls, here’s some of the best hikes with a view you’ll find in Kentucky. Accessible all but one month of the year (December), this challenging yet short 2.1-mile excursion was originally a pathway for a railroad built in the 1880s. The first quarter mile along the Battleship Rock Trail climbs a bit, but quickly levels off, moves through a field full of tulips and white pines, before finally making its way to the Natural Bridge. 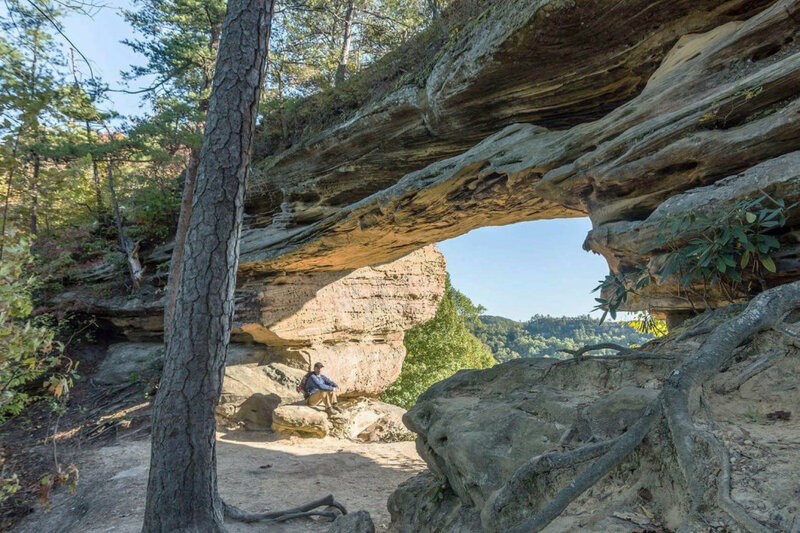 Undertake another 420 feet of elevation change to get to the top of the bridge via a fracture on the opposite side of the arch, and you’ll be rewarded with arguably one of the best views in the state. A hiking-only trail, this beauty is open year round. 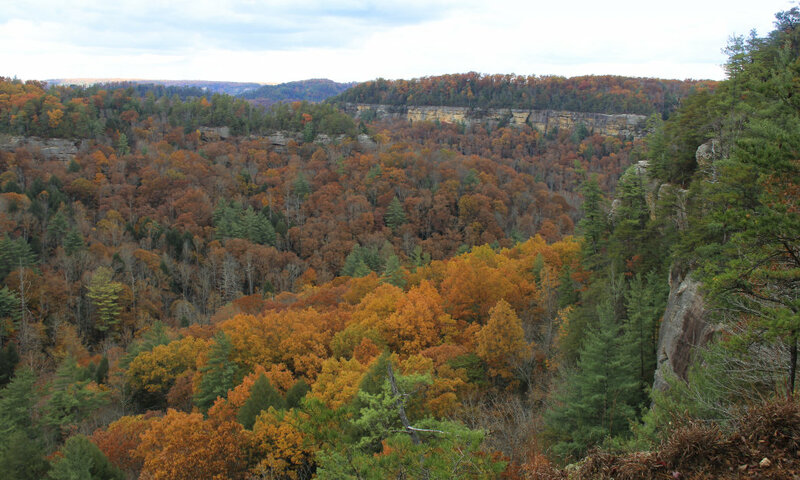 Double Arch Trail clocks in at just under 4.5 miles as it weaves through hemlock forests below a sandstone cliff, ultimately leading to a killer overlook of Courthouse Rock. The trail begins at the Auxier Ridge Trailhead, which you can get to from the Auxier Ridge parking area at the end of Tunnel Ridge Road, just off of State Highway 15. Double Arch is a great day hike, but if you want to camp, staying overnight is an option too—just don’t forget to grab a permit beforehand. This 4.1-mile beauty is heavily trafficked, but when you see the views this loop trail has to offer, you’ll understand why. Raven Run climbs 515 feet as it makes its way to Palisades Overlook above the Kentucky River. The views are great anytime of the year, but fall is especially stunning. Shorter trails named after various colors make it possible to take shorter and easier hikes if you like. Raven Run is kid friendly, but you’ve got to leave your pooch at home. 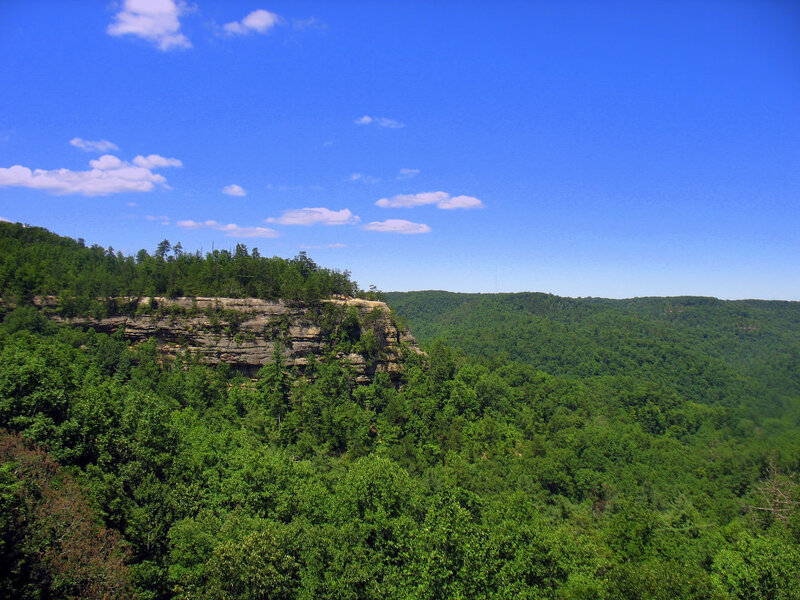 Breaks Interstate Park encompasses parts of both Kentucky and Virginia. The Loop is a 4.7 miler considered a moderate trek. Open from April to December, you can bring your pup with you as long as it’s on a leash, and together you can enjoy the 1,335-foot climb to see stunning rock formations and vistas that stretch out over a five-mile-wide gorge, referred to by locals as "the Grand Canyon of the south," some 1,650 feet below you. This hike is not for the faint of heart and isn’t intended to be undertaken alone. The staircase is steep and there are a couple places along the way that can spell danger if you’re not paying attention. That said, for experienced hikers there are few other choices in the state that boast the kinds of views that this hike delivers. Once you get to the top of the staircase, expect to spend some time soaking up the views. It’s best to allow four to six hours to hike Indian Staircase and Indian Arch Loop, even though the trip is only about 3.5 miles in length. The Eagle Falls Trail is the only way to get to Eagle Falls, so sometimes it can be a bit congested with fellow hikers. It’s a short jaunt though, just 1.5 miles in length, which makes it an ideal hike if you’ve got a group of varying ages and skill levels. (There are a steps along the way, however.) 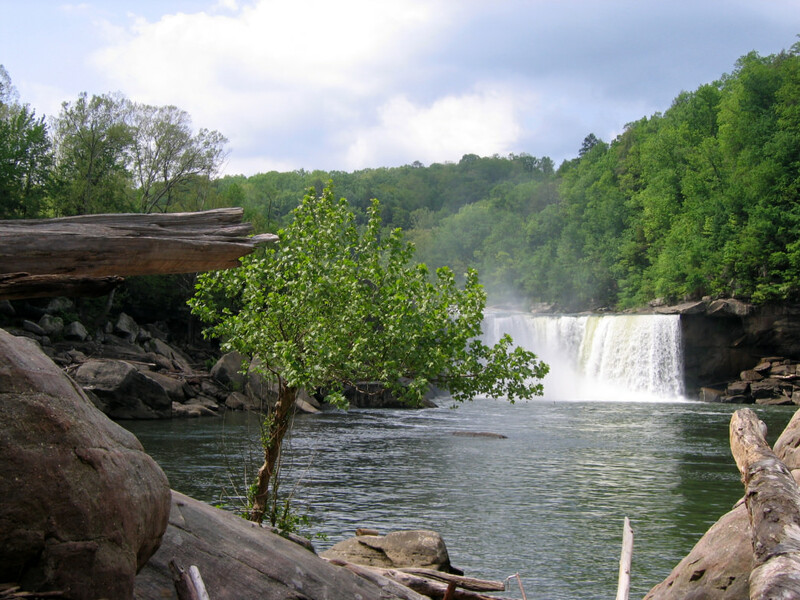 A lovely view of Cumberland Falls is in store for those who undertake it, and the trail is open year round. Cumberland Gap offers over 85 miles of trails that vary in length and difficulty. But the one with the best view is undoubtedly the Pinnacle Trail that leads to Pinnacle Overlook. 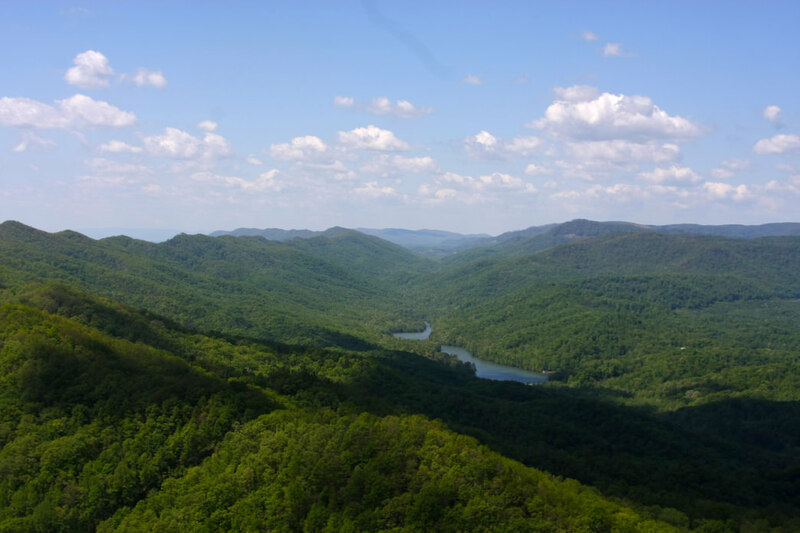 It’s an out-and-back trail that stretches for 7.8 miles and climbs about 1,500 feet before reaching the overlook peering out over Cumberland Gap. The trail is accessible from April through October and lights up with fiery colors when fall rolls in. Originally written for Kentucky Tourism.